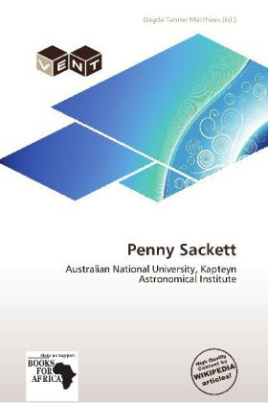 Penny Diane Sackett (born 28 February 1956) is an American-born Australian astronomer and former director of the Research School of Astronomy and Astrophysics (RSAA) at the Australian National University (ANU). Professor Sackett was the Chief Scientist of Australia from November 2008 until March 2011.Born in Lincoln, Nebraska the daughter of an accountant and a business machine technician Sackett spent her childhood in Omaha. Sackett was interested in science from a very young age, and her original inclination was towards biology and medicine.